For companies of all sizes, handling business personal property taxes can be a beast. Tracking hundreds or thousands of tangible assets is challenging enough; on top of that, there are deadlines (often multiple ones!) to manage, returns to prepare, protest decisions to be made, and bills to pay. And when one cycle is complete, it’s time to turn around and start again. Clearly the time requirements center around preparing and filing returns! Let’s take a more detailed look at the steps involved in that stage, as well as summarize what’s involved in the others. Having a good grasp of the activities throughout all stages of the cycle may help you identify opportunities for increasing efficiency—and ultimately allow you to redirect your efforts from more mundane tasks (like researching assessing jurisdiction addresses, depreciation tables, forms, and other rules) to more valuable ones (like successfully supporting a protest and reducing your tax liabilities). Stage 1: Prepare and file returns. For companies with thousands of accounts (an “account” being a group of assets identified usually by office location or geographical location, as in region or county), it can be a nightmare to get business personal property tax returns out the door. It’s all based on your asset information, so the better handle you can get on the first step below, the better off you’ll be. Manage your asset information. You need to figure out the value of your individual assets in order to come up with an overall value of your personal property for the assessing jurisdiction. This tends to be very tedious, but good-quality software can help significantly. Procure a listing of assets as of the assessor’s assessment date. For most states, this is based on calendar year—for example, a list of all the assets on your books as of 1/1/2018. There are tons of ways to handle tracking, like Oracle or an ERP system; the one you choose depends on your company’s preferences. Identify and apply asset disposals. A “disposal” refers to partially or completely removing an asset from your books. If you get rid of old computers or furniture, for instance, you must report those removals to an assessor. Identify asset additions. If you’ve gained additional assets, those must also be tracked and reported. Manage asset transfer activity between locations. If you moved something between offices, in the same county or another location, you need to track that activity. Transferred assets should appear as “transfers-in” for the new account and “transfers-out” from the prior account. Determine the asset’s correct acquisition year given the assessor’s rules. Just because you acquired a computer in mid-2017 doesn’t necessarily mean that 2017 is the acquisition year. Acquisition dates may be based on either a calendar or fiscal year, depending on the assessing jurisdiction; some states even have additional nuances when it comes to acquisition date. (Check Indiana!) You’ll need to find this business personal property tax information by jurisdiction and calculate it, unless you’re using software, which should ideally take those rules into consideration and calculate the acquisition year automatically. This is a very important step as asset age will ultimately determine the correct depreciation rate of the asset. Determine the taxability of an asset class based on assessor rules. Some assets are not taxable and do not need to be reported. You can either research this information yourself, or use software that “knows” those rules and applies them automatically. Calculate the value of your assets. Identify the correct table to apply to each asset. A particular county might have 20 different depreciation tables—software goes to one, desks go to another, etc. Calculate the depreciation: asset’s cost x depreciation table factor. This step can be quite tedious, since you first have to research and download the right tables, convert them into a format to run formulas (like Excel), and calculate correctly based on the asset’s classification & age. Software can do all this with a minimum of effort. Locate the correct business personal property tax return form. Every state/county can have a different return form; to find it you’ll need to visit the assessor’s website or call the assessor’s office. Fill out the form information. It’s all fairly similar across forms, including things like owner name, property, and basic account information. Per the assets, you’ll also need to input things like acquisition year, prior year cost, additions, disposals, etc. If you’re not using software you’ll need to do this by hand, one account at a time. (Not an option for companies that have thousands of returns!) And don’t forget to review the assessor’s rules to determine if the account is exempt from filing. In some states, if your value is less than a certain amount you don’t need to file a return. Supply supplemental information if necessary. A lot of forms ask you to attach a detailed listing of assets with their classifications, age, costs, and values. Analysts may do this manually using Excel; or they can use software to quickly produce spreadsheets for asset listings, additions, disposals, transfers, etc. Research the various assessors’ return deadlines. (Hopefully you’ve known this since the beginning!) There’s not a single standard filing date for the U.S.; it varies by state and by county. 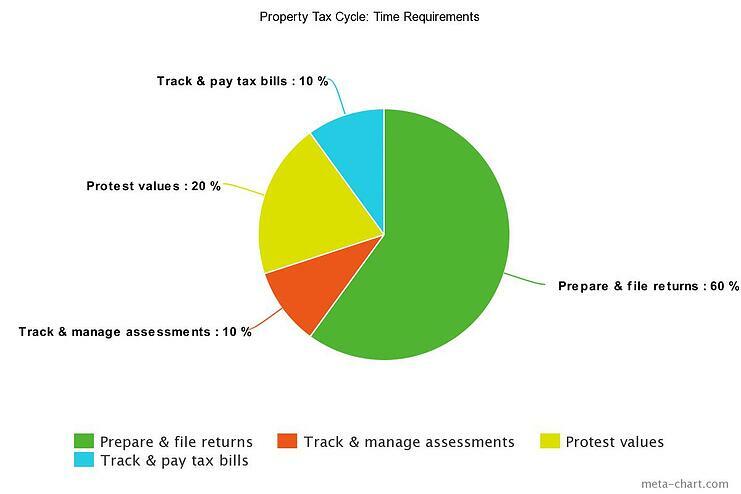 Filing late may have penalties, such as a penalty fee or the loss of your right to protest the assessor’s valuation. File via mail or online. For physical mailings you’ll need to research addresses, possibly print labels, and send the filing via mail. Some assessors are becoming more proactive and allowing you to file online. Track and manage all accounts to ensure returns have been filed. Stage 2: Track and manage assessments. At this stage, you’re waiting to hear from the assessor and tracking your incoming assessments. It’s important to track the protest deadlines because you need to make sure assessments are received in plenty of time to prepare for a protest if needed. 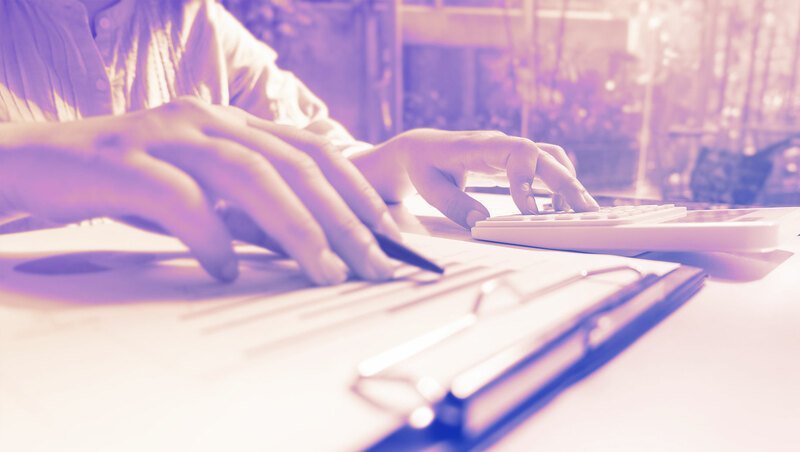 Every assessment notice has valuable information that will be recorded in your books, including the assessor’s estimates of market, assessed, and taxable values. Compare the values against those on your return or the prior year assessment to help you determine whether or not to protest the valuation. You’ll make that final decision in this stage. If you do plan to protest, you’ll move on to stage 3. Stage 3: Protest the valuation. Unfortunately, most companies are so focused on just getting things done on time that they have little time or inclination to protest. This stage does require more research and paperwork, but it’s a valuable exercise in saving your company money. Property tax consultants can be helpful in this stage, as they have the necessary expertise to conduct a successful appeal. The first step is to notify the assessor’s office that you want to appeal. Once you’ve done that, conduct research based on valuation studies and an analysis of valuations for comparable properties in your county to support your case. When you’re ready to file the appeal you’ll need to look up the rules; it’s different in every state and county. Finally, you’ll want to track any appeal responses you receive throughout this process (you don’t want to miss an important appeal hearing!). Stage 4: Track and pay tax bills. At the end of the business personal property tax cycle a value is finalized and it’s time to pay. The county applies its various tax rates (i.e. school, hospital, or other taxing districts) to your account’s taxable value to come up with a total tax amount due. Payments can be made in installments or in full, depending on the county’s payment options and your company’s cash flow requirements. Track the tax bill due dates and receipt of payments to ensure that nothing gets lost in the mail. Managing your tax bills should include a check of the tax amounts to ensure they are correct, even comparing them against the prior year’s payment. Record all payments made so you can manage additional supplemental bills and/or refunds. In some states, like California, for example, you might pay a tax bill on a particular account and get another bill three years later on that same account for that same year. If you’re not tracking payments to the letter, the potential for overpaying (or missing out on a refund) is much higher. Tracking payment information is also essential for accruals purposes. Business personal property tax software can help avoid mistakes in this area and minimize time spent tracking and managing. Do you have questions about business personal property tax management? We’re always happy to talk with you about ways to make the business property tax cycle easier. So if you’re struggling—or just getting started in the business personal property tax field—get in touch! Or, if you’d like to know how our property tax software solution can help, visit our website.